Most couples don’t have to flip a coin to see whose car gets to get the next mod. When you have two car mod addicts in the family the playful fights are usually fueled by his wheels versus my suspension or his body kit and supercharger versus my full car upgrade, which then of course leads to even more mods. When we first started dating I had the American Muscle and he had the German Engineering. Now that we are married he has gone red white and blue and I have traded in for the black red and gold. I went from being more concerned with power over looks to now focusing on class and style and he has a delicate balance of both. You see, we are a popular growing breed, we are both car mod junkies. His passion started at any early age, no, really, his first word actually was “car.” I on the other hand, did not truly fall into the addiction until after we started dating. His first car was a sleek black BMW E36, whereas mine was a practical, “gets me from point A to point B” Ford Taurus. Seeing the emotional high he got whenever he bought a new mod for his car made me begin to wonder what all the fuss was about. I started out small, I traded in the automatic Taurus for a 5 speed manual Dodge Neon. (Pause for laughter) Moving on, the Neon was fun and all but eventually the thrill of a standard gearbox wore off and I needed more. Especially since in the mean time he had went and traded in for a newer model a BMW E46, which had significantly more power than my car. So I took matters into my own hands and took things up a notch. If I couldn’t have the amazing styling that he was getting out of his BMW I was going to get more power than he had. The Neon had to go and its replacement was on a whole never level, a 2003 mustang GT with a Kenne Bell Twinscrew Supercharger. Well, there you have it I had won in my eyes. However, my power addiction only fueled his addiction even more; he proceeded to cosmetically modify his E46 to perfection with wheels, bumpers, hood, suspension – you name it. I was beaten, not only from the glare coming off of his car but also from the stiff suspension and sheer fatigue from driving my Mustang. It was time to trade in for something more practical, something that got good gas mileage. But, lets be real once and addict always an addict so I had to get a car that was still mod friendly, we went with a 2012 VW GTI. We then quickly equipped the GTI with Eibach lowering springs and VMR V701s. This, however, only ignited his addiction even more, now it was his turn to try his hand in American Muscle. 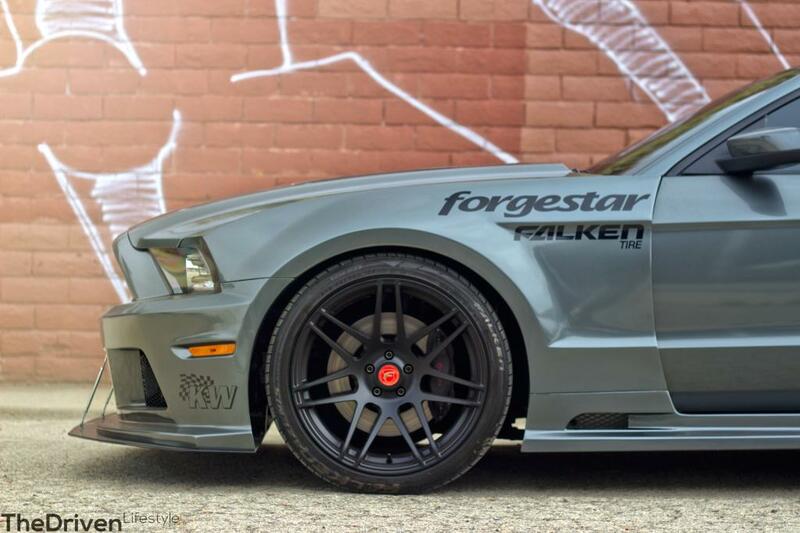 He traded the E46 in for a 2013 Mustang GT, which he has now famously fitted with a APR widebody kit along with a Vortech Supercharger and countless other modifications. (See here) Knowing when I have been beaten I conceded under one term, I got to upgrade to a 2012 S4, TBM (To Be Modded).